Using a 6mm Allen key, remove the bolt and bush holding the headlamp to the right hand headlamp bracket. Fit the right hand screen mounting bracket on the headlamp bracket and refit the bolt with its bush. 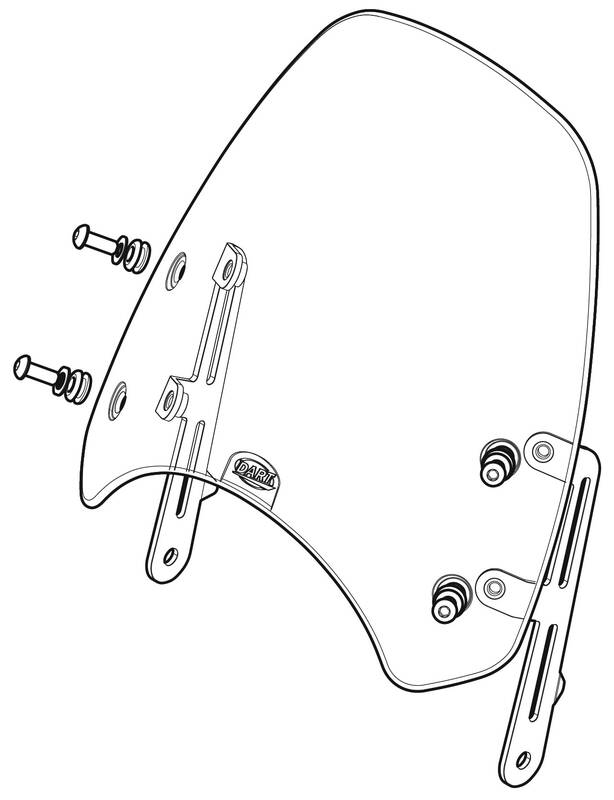 Ensure that the triangular step at the back of the screen mounting bracket is resting fully on the headlamp bracket before tightening.